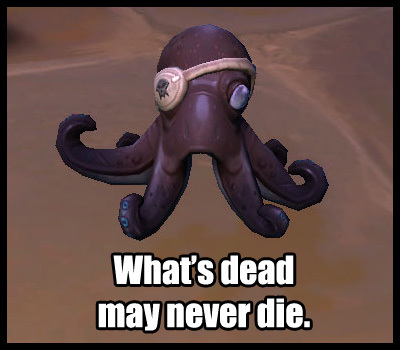 Did 3 weeks worth of Island Expedition, 0 pet, 0 toy and 0 mount. I agree 100% with what you've said. It would be nice to know what criteria we need to fulfill in order to get these pets to drop because right now, the drop rate for them is ridiculously, abysmally low. I've done 30+ expeditions, 20 of them on Heroic and have yet to get a pet. Due to the fact that there are 28 pets that drop from them and there's an achievement to go along with it, a lot of people (pet collectors and/or achievement hunters) are getting incredibly frustrated at the lack of pets showing up. Something needs to be done to rectify this situation. 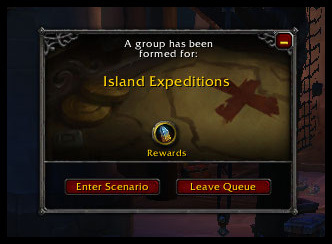 Either drastically increase the chances of finding a pet at the end of the expedition or have them for sale with doubloons as currency, because as of right now, a lot of people are getting frustrated at the expeditions for the lack of reward(s) given.